There’s a misconception out there that the DC fashion-scene is lacking. Sure, I understand that to some, DC may be associated with stuffy suits and lots of black, but to those people I say: You’re not looking very hard. DC is home to many well-admired fashion bloggers… Rachel of Project Beltway, Naomi of Rockstar Diaries, Lauren of My Closet in Sketches, Caitlin of Style Within Reach, E of District of Chic, Lisa of Quarter Life, Sydney of The Daybook, Tania of What a Nerd Would Wear to name just a few. Besides fashion bloggers, online boutiques, and many awesome and unique brick and mortar vintage stores (Treasury, Nana, Annie Creamcheese, Ginger Root Design, Junction, It’s Vintage Darling, and Dr. K’s Vintage are some of my personal favorites), DC also has no shortage of pop-up shops. I can’t resist them. Two weeks ago, I got up and dragged my unwitting partner to Butler + Claypool’s vintage pop-up boutique held at Cork Market on 14th St. Butler + Claypool is a self-described retail and design collective started last year by several of DC fashion’s hard-hitters, including Holly Thomas (formerly of The Washington Post and most recently of Refinery29 DC) and Rachel Cothran (of Project Beltway above). This group strives to provide a highly curated shopping experience that merges fashion with art, music, food and creative instruction. While I went with the intention of “just looking”, I couldn’t help but walk away with three beautiful pieces for a decent price. "A Well- Curated Life" Indeed. 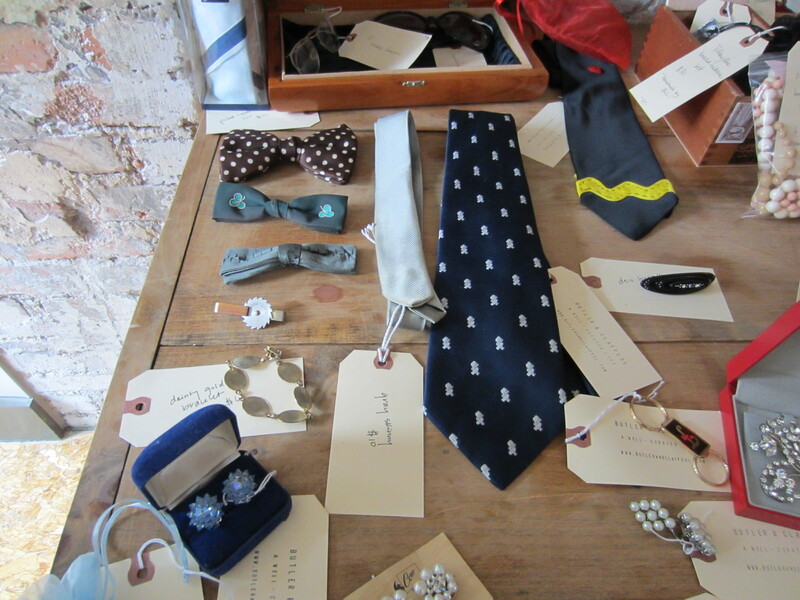 As we walked in, I made a beeline to the accessories where they had a great selection of vintage hats, handmade necklaces, shiny brooches, ties and colorful scarves. 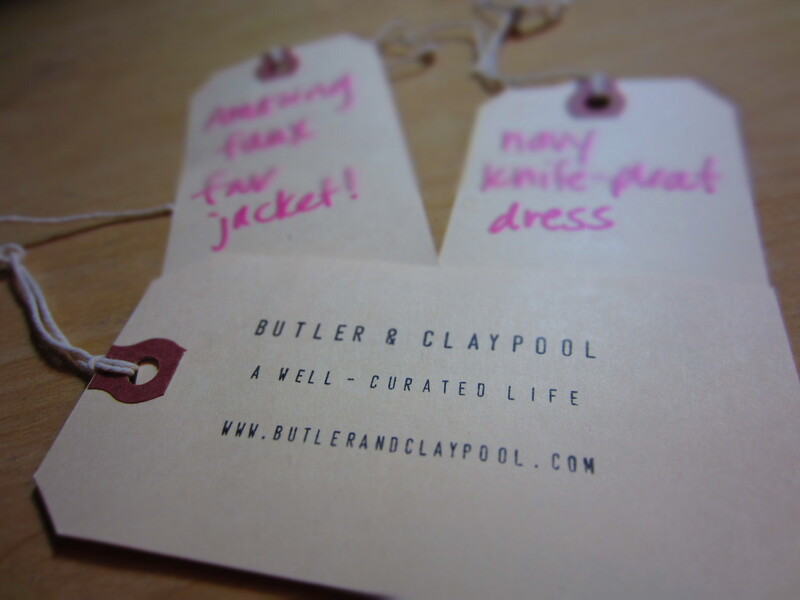 The ladies of Butler + Claypool were busily unpacking and tagging items as customers enjoyed warm mulled cider and cool tunes as they browsed. I'm a sucker for accessories. Especially those adorable bowties. Rows of prints and textures called to me from the racks. The selection of party dresses, day dresses, sequined evening gowns, brightly colored pencil skirts, silk blouses, and swing coats had me a little breathless. After much drooling and wandering around, I finally gathered up my choices and reluctantly left the pretty space with my prizes. I could have stayed all day! 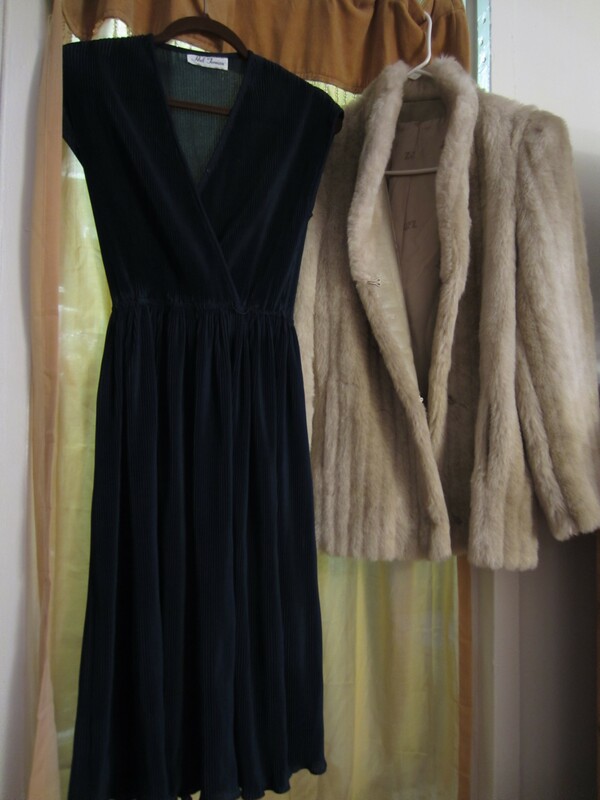 My finds: a navy knife-pleat dress and a beautiful faux fur jacket. Butler + Claypool I will be back! 1) Make sure to wear clothes/shoes that are easy to slip blouses, dresses, or skirts over— just in case there are no dressing rooms. 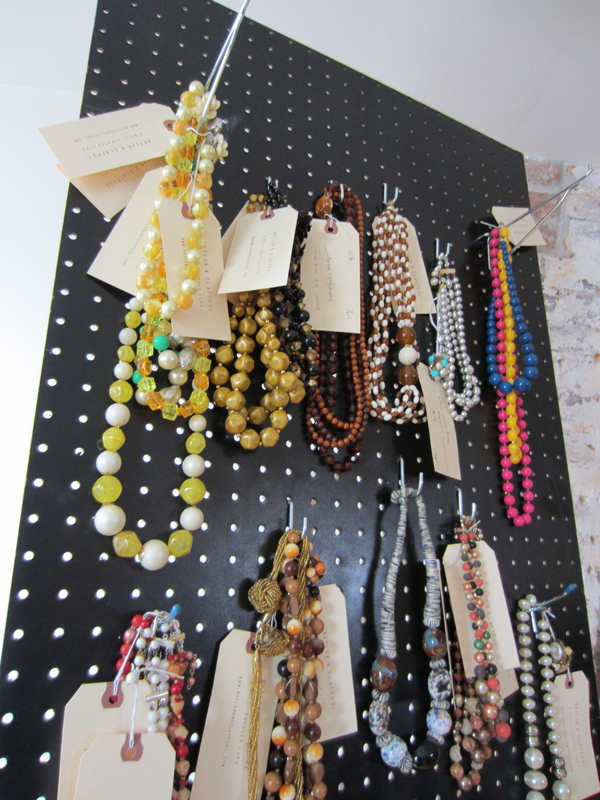 Many thrift stores have limited/no dressing rooms and pop-up shops are often even less likely to have them! Be prepared to commandeer a corner or an aisle and don’t be afraid to look a little silly in the name of fashion. 2) Look for quality fabrics and skip the synthetic blends. This is a great way to build a quality wardrobe that will last you for years. And often at a great price. Don’t forget about the magical scarf bin! This can be a secret gold mine of silky goodness. 3) Bring a friend! It always helps me to assess my choices with another critical eye to lend support. Besides, who else will tell you how you look when there’s no mirror around? … and take pictures of you for your blog? … and help you sort through that pile of adorable jackets? Exactly. 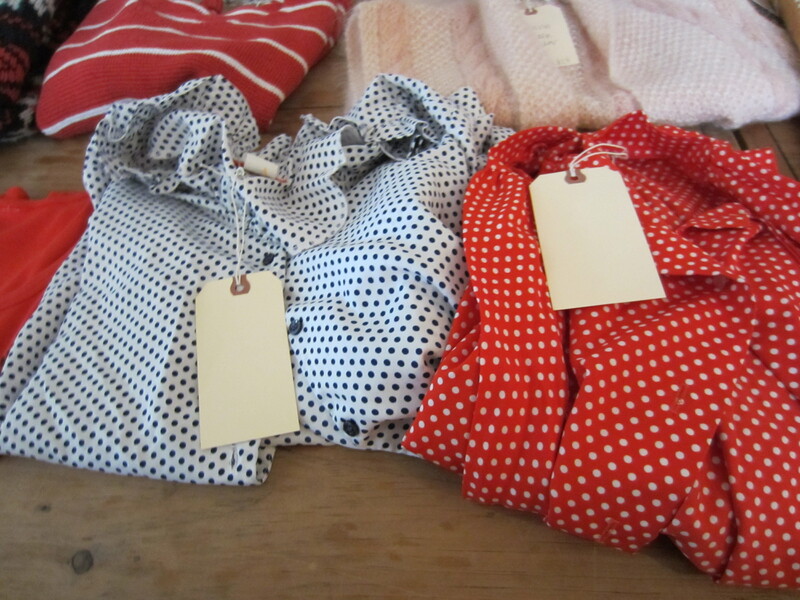 4) Only take home those pieces you’re absolutely in love with! Don’t take something home just because it’s a great price. If you won’t wear it, or it’s not your style, don’t give up that space in your closet! If you love it but the the fit is slightly off, don’t give up on it if you think it’s something you can easily have adjusted by a tailor. 5) Keep a running list of wants/needs in your wardrobe to avoid getting distracted. You can never go wrong with building blocks like the perfect black dress, classic cut blazers, wool trousers, white oxfords, or whatever it is that fits your style. At the same time, this is a great way to keep track if you keep finding yourself reaching for the same black pencil skirts at every vintage shop. All photos by Melissa Henry unless credited otherwise. This entry was posted in Covet, Washington, D.C. and tagged butler and claypool, covet, explore, fashion, melissa, pop-up, thrifting, vintage.